Burkina Faso has recorded an estimated population of 15,746,232 in July 2009. The majority of the people in the country belong to two big West African indigenous groups such as the Voltaic and the Mande. The Voltaic Mossi constitutes about 50% of the population. They claim to be the descendants of those esteemed warriors in its history who came from Ghana to establish a kingdom in Upper Volta (now Burkina Faso) that spanned up to 800 years. Most people in the country live in the south and the center of Burkina. The population of the country is very young with the median age of 16.7. Situated in West Africa, Burkina Faso was formerly called the Republic of Upper Volta until 1984. Although the country has suffered droughts and has endured military coups, Burkina Faso, which means "the land of upright people", is one of the friendliest and safest places to travel to in Africa. A considerable number of tourists visit the country every year to experience African culture and music, and explore great sights and adventure the country has to offer. 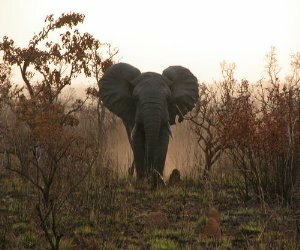 One of the highlights in the country is its significant concentration of fauna that include antelopes, buffalo, lions, monkeys, crocodile, giraffe, vast variety of birds, and the largest population of elephants in West Africa, making this an ideal location for safari adventures. One of the many landlocked countries in Africa, Burkina Faso is relatively flat and divided into two types of countryside. The largest portion of the country is mostly a peneplain with wavelike landscapes and scattered hills. 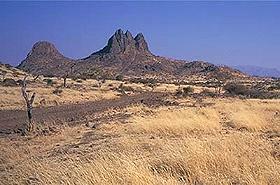 Elevated landscapes, and a sandstone massif characterize the other part especially in the southwest of the country. But the most important geographical feature of Burkina Faso is its savanna that is cut by the three rivers: the Black, Red, and White Voltas. From November to February, the country experiences cooler evenings, and it is pleasantly warm during daytime. March to June is the hot season, and from July to September, Burkina Faso welcomes its rainy season. The earliest settlers were hunter-gatherers, and early settlements of farmers in the country appeared between 3600 and 2600 BC. But the Mossi initiated real development in the country in 16th century. 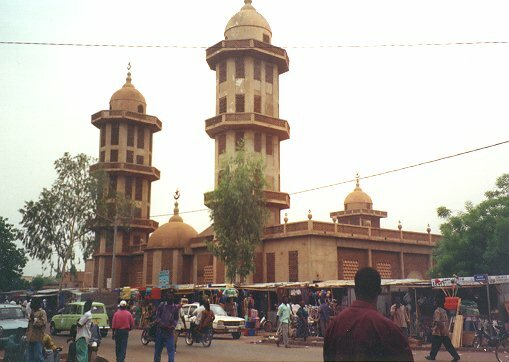 The Mossi Kingdoms reigned until the end of 19th century when the French arrived to colonize the country in 1896. Although the Mossi put up a tough resistance against the French, the country was completely captured with the fall of the capital, Ouagadougou, in 1901. 57 years later, the Republic of Upper Volta was established and attained full independence from France on August 5, 1960. There were repeated military coups in the 1970s and 1980s. The successful military coup led by Thomas Sankara in 1983 also led to the change of the country's name to Burkina Faso, which literally translates to "land of upright people". 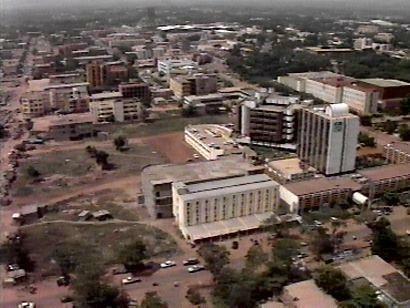 One of the wonderful places to visit in Burkina Faso is its capital city, Ouagadougou, which is located in the center of the country. The city is home to the country's national parks, museums, arts, and the cinema. Its national museum is a very important tourist spot as it contains the cultural and historical mementos of Burkina Faso. The wildlife park of Ziniare is another famous attraction in Burkina. Its remarkable highlight is its great variety of animals that include antelopes, elephants, lions, monkeys, and other species. Near this location is the house of Burkina's historical figure, Blaise Compaore. 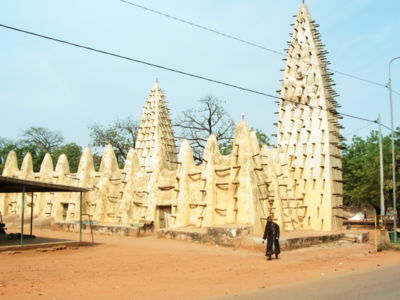 Another tourist attraction of note is found in Koudougou. In this town, tourist can find the so-called "the sacred crocodiles of Sabou." The crocodiles are said to be so harmless that tourists can even sit on their backs. There are other famous attractions in the western part of the country, specifically in Bobo-Dioulasso, the second largest city of Burkina Faso. Aside from its museums, old grand mosque, and mausoleum, tourists can enjoy the natural treasures including the Waterfall of Banfora, the lake of Tengrela, and the Peaks of Sindou. Top-notch nightlife attractions are available in Ouagadougou, the capital of Burkina, as well as in Bobo-Dioulasso. In the city of Ouagadougou, tourists can go to Bar Matata Plus and enjoy good music, drinks, and dancing especially on Friday and Saturday nights. Or make it a really late night and enjoy the live music in various bars in the city like the Baratapas during a Friday night with lots of partying people and bottomless rum. And if you are more inclined toward shows and the theatre, you can go to the Centre Culturel Francais Georges Melies, where the best shows and the best musicians and performing artists in the country or from other parts of Africa appear. You can also see the latest movies in Cine Burkina or Cine Neerwaya. The government of Burkina has estimated that 55% of the population in the country is Muslim; 25% are Christians, predominantly Roman Catholics; while the rest of the people practice their traditional beliefs, or simply "animistic beliefs". Atheism is said to be nonexistent in the country. The official language in Burkina Faso is French, and the other prominent local languages are Moore and Dioula. The cuisine of Burkina Faso is a typical cuisine of West Africa. The common agricultural products in the country are nuts, peanuts, millet, sorghum, rice, maize, potatoes, beans, and okra. Meat and beef are a luxury and prepared only on special occasions except fish, which is a common dish in most households. One of the typical dishes is "To", prepared with crushed, cooked millet, sorghum or corn, and mixed with a sauce made from tomatoes, peppers, sumbara, and carrots. Sometimes, beef is added when available. Another popular dish is "Fufu", pronounced "foofoo", a mix of cassava, eggplant, maize, okra, sweet potatoes, onions, tomatoes, turnip, and yam. Fruits such as avocados, bananas, coconuts, grapefruits, mangos, and papayas are also served as a main course, in addition to the traditional stew.